A safe and compact way to store any of your business, credit or other cards, this sterling silver case is an ideal companion. 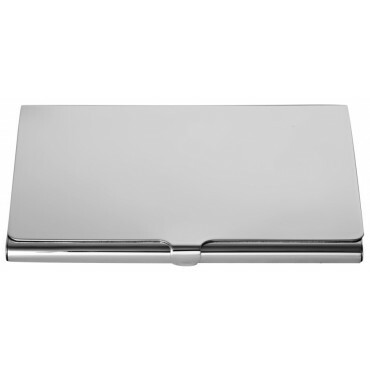 Made from hallmarked sterling silver, the card case opens via a hinge to reveal space to store your cards. To truly personalise this silver card case or turn it into a memorable gift, why not engrave a special message, initials or name?